This past weekend I was at AT&T Park (home of the San Francisco Giants) for the annual Giant Race Expo and 10k. It was my third year running the race and I always get a little excited for the expo as well. Afterwards, I grabbed a quick bite at Public House. I couldn't believe I had never been there before. I was excited to see that they had a Baked Mac and Cheese on the menu. Cheeses included Provolone, Cheddar and Gouda. The size was pretty perfect for lunch, but probably not enough to share with another person. It wasn't too big and just perfect for carb loading for my race the following day. The flavor was okay. Nothing really stood out, but you could tell there was a nice mixture of flavors. 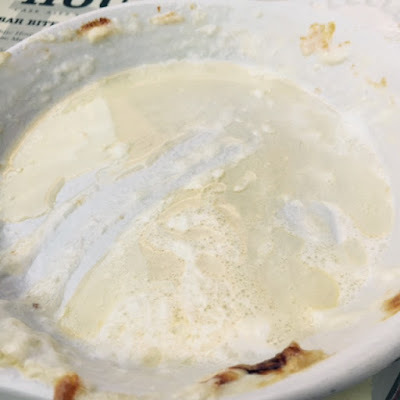 For the most part the sauce was creamy, however, there was a significant amount of oil that had separated from the cheese in the cooking process. That's probably one of the least appetizing things to see in any dish: an immense amount of oil or grease. Leftover oil from the cheese... ew. All in all, though, it wasn't too bad. I probably wouldn't order it again. There were several other items on the menu that looked delicious, like the fried chicken or burger. There were even mini corn dogs if you are feeling like something fun. For a baseball lover, however, you can't beat the location. Public House is located within the AT&T Park's Willie Mays Plaza, just adjacent to the ballpark and dugout store. For any Giants fan, this place is a real treat. I enjoyed sitting outside with my Hunter Pence bobble head. All the runners received an official race bobble head at the expo. So next time you're at a game and want to pick up a drink or bite before a game, check out Public House. 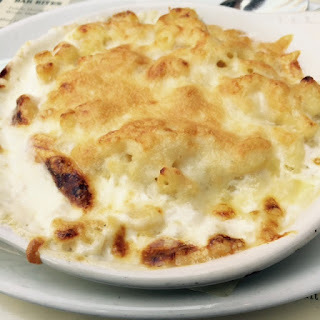 Make your own determination on their Baked Mac and Cheese, and let me know what you think!